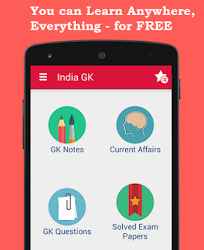 21, 22 January 2016 Current Affairs MCQs, Quiz, Questions: Current Affairs for January 2016, Daily Multiple Choice Questions (MCQs) for India GK, World GK and current affairs with Collection of daily objective type Question by www.Indiagk.net based on General Knowledge (GK) and General Science (GS) Questions for UPSC, State PSC, SSC, Police exam, Railway exam, SBI, Bank PO, IBPC, SSC, LDC, UDC, Army, Airforce, Navy, Coast Guard, Bank Clerk, TET and all entrance examination with current affairs News, Multiple Choice Questions (MCQs) available on Website www.IndiaGK.net and Android Apps with daily updates:. Which state wins Syed Mushtaq Ali Trophy 2014-15 ? Explanation: Uttar Pradesh on 20 January 2016 won its maiden Mushtaq Ali T20 Trophy with a 38-run win over two- time champions Baroda in the final played at the Wankhede Stadium in Mumbai. It was Uttar Pradesh’s ninth straight win in the tournament, including five in the preliminary league phase and three more in the super league stage. Which pakistan University comes under attack by a group of militants on 20 January 2016 resulting in death of 25 ? Explanation: Bacha Khan University situated in Charsadda in northwestern Khyber Pakhtunkhwa province of Pakistan was the site of a terrorist attack on 20 January 2016. According to media reports, a group of militants stormed the university using the cover of thick fog before opening fire on students and teachers in classrooms and hostels. Padma Bhushan awardee Mrinalini Sarabhai passed away on 21st January was associated with which field ? Explanation: Legendary artist and Padma Bhushan awardee Mrinalini Sarabhai passed away on 21st January 2016 at the age of 97.Trained in Bharatnatyam, Kathakali and Mohiniyattom, she was educated at Shantiniketan under Rabindranath Tagore. She was marries to the architect of India's space programme, Dr Vikram Sarabhai. She was was awarded with the Padma Bhushan in 1992 and the Padma Shri in 1965.